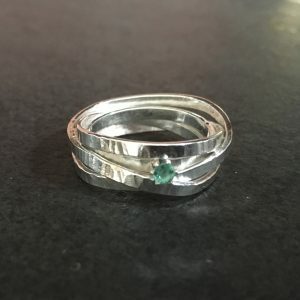 Beautiful handmade textured silver ring with small emerald stone. 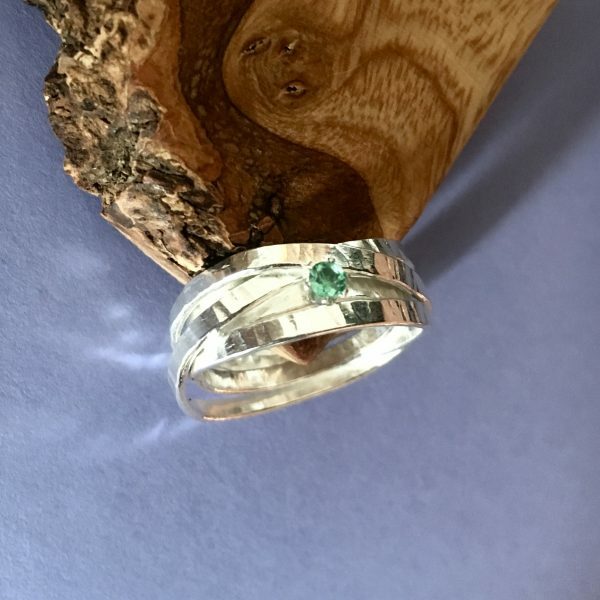 Handmade in my workshop in Fife this unusual handmade spiral silver ring is simple and elegant, each ring is unique, rolled and textured silver wire is formed into a unique chunky ring band with a small 3mm round emerald set at the front. 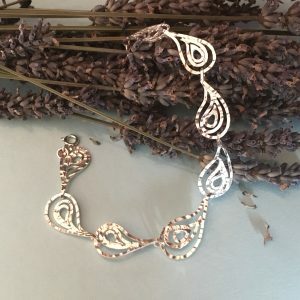 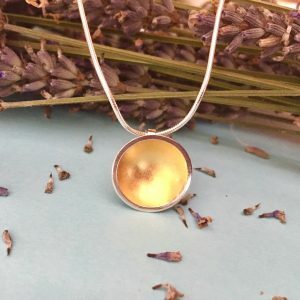 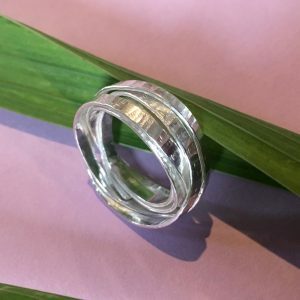 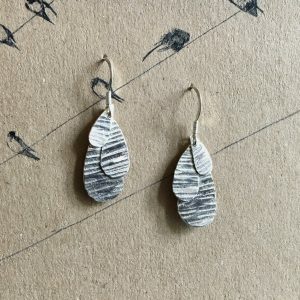 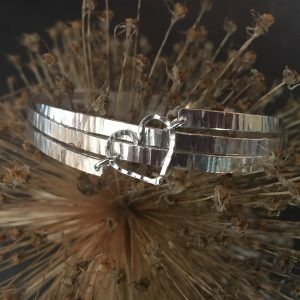 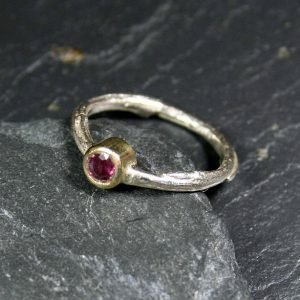 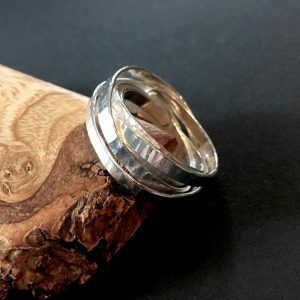 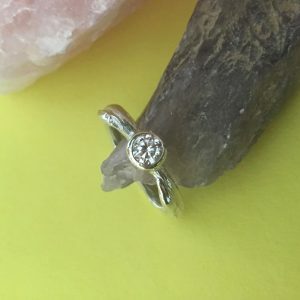 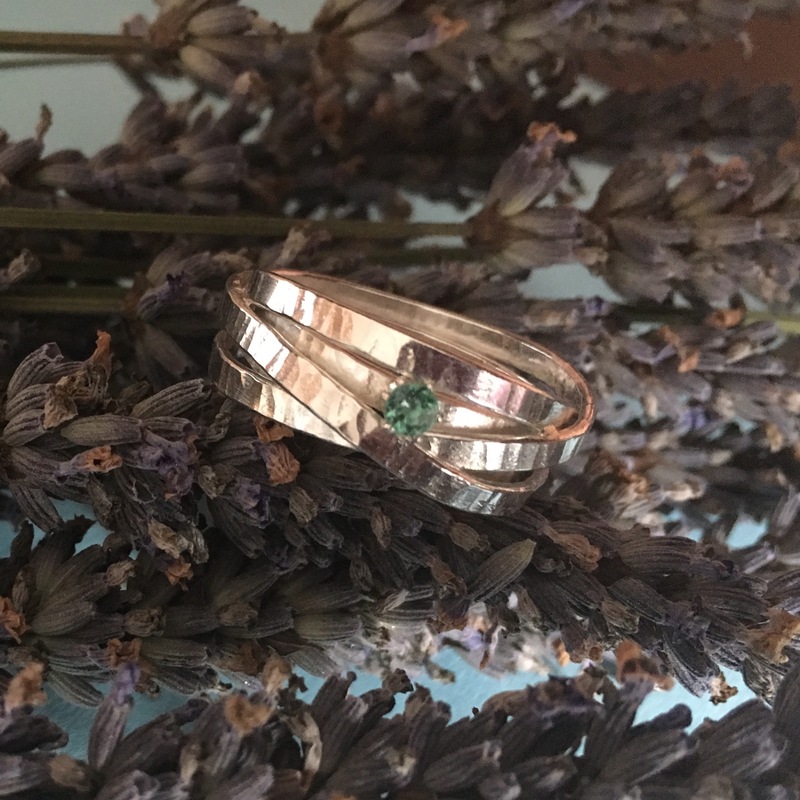 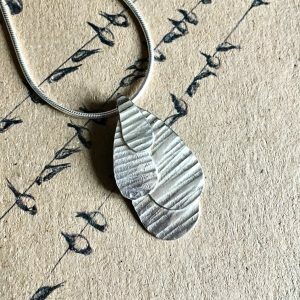 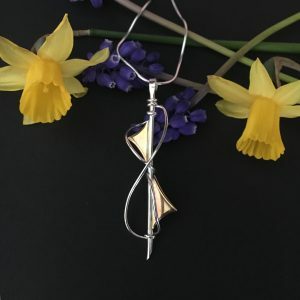 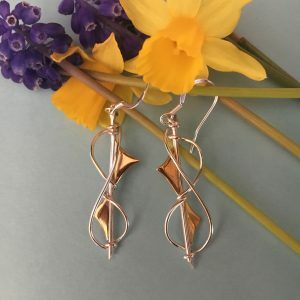 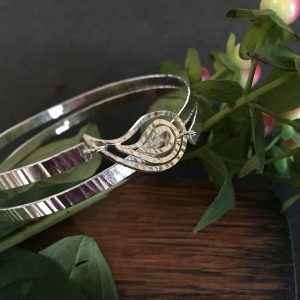 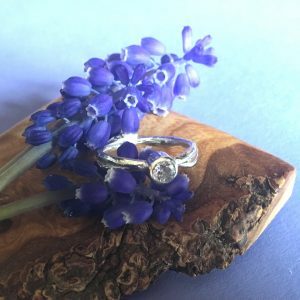 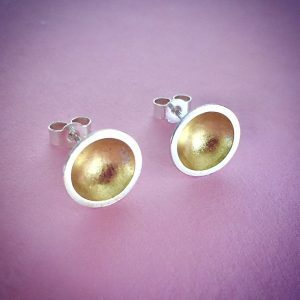 It is perfect for everyday wear as it is light and comfortable, but it would also make a great addition to a special occasion outfit or an alternative engagement ring, it is a genuinly beautiful ring. 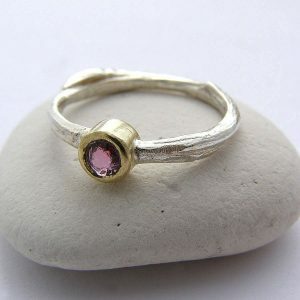 It would make a perfect gift for a lady of any age.